How to map coral atolls? Maps in the Crowd brings us to remote and exotic places. 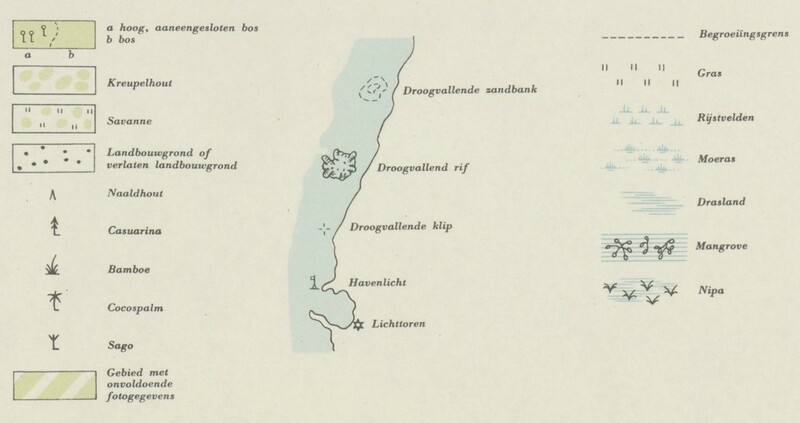 An interesting map of a small group of islands is the ‘voorlopige uitgave’ (provisional edition) of the map of the Ajoe-Eilanden (Ayu Islands) from 1958, as part of the 1:100.000 topographical map series of Dutch New Guinea. These islands are located just north of Waigeo, northwest of New Guinea. 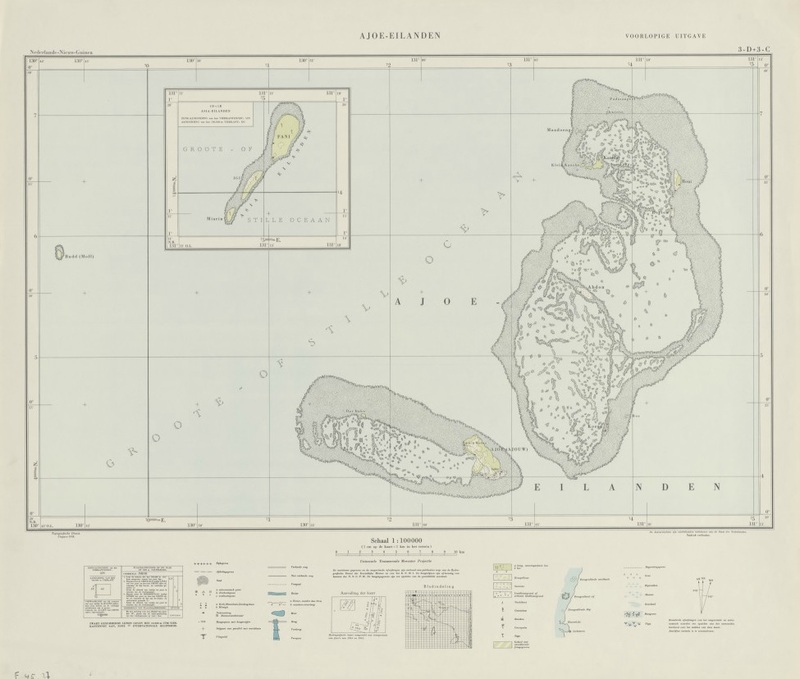 This small archipelago is formed by two coral atolls with five islands, of which two are uninhabited. The Ayu Islands are known for its good snorkeling and scuba diving sites and its beaches as breeding grounds for the leatherback turtle. When we compare the georeferenced map with Google Satellite we can see how accurate and detailed the intertidal reefs are surveyed. It is interesting to have a look at the legend below the map. Alongside common symbols for borders, settlements, roads, waterways and vegetation there is a special signature to indicate coral reefs. These reefs are the most prominent features on this sheet. You don’t see them in Google Maps but in Google Satellite they are prominently visible.